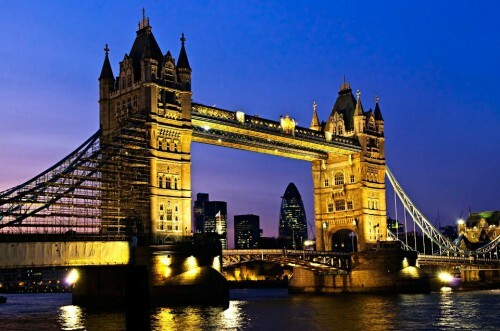 Super cheap flights to UK: Brno-London for only €18! Ryanair further lowered already good prices of flights to UK from the Czech Republic. 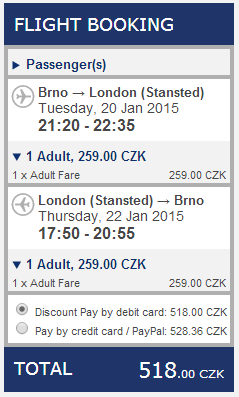 Return ticket from Brno to London (Stanste)d will cost you only €18 / 518 CZK! You can fly also from Ostrava for the same price, 3rd biggest city in the Czech Republic. This price includes cabin luggage up to 10 kg and 55 cm and on other smaller bag up to 35 cm. Travel dates are in January which is traditionally the cheapest month to travel across Europe. Book your ticket through Ryanair. London is loaded with tons of accommodation options of all budgets, from cheap hostels to luxurious hotels at discounted rates. Hotels in London may be fairly expensive so we recommend to check also hostels that should be much cheaper. Another option is to rent a private room or whole apartment through AirBnB which is often the cheapest option. « Cheap flights to Indonesia: Jakarta for only €422!